BOTOX® Cosmetic is a simple, nonsurgical treatment that is injected directly into the muscles between the eyebrows. It works by blocking nerve impulses to the injected muscles. This reduces muscle activity that causes moderate to severe lines to form between the brows. It is also commonly used to treat forehead wrinkles, crow’s feet, and neck cords. The results are usually present in 2-3 days and there is no surgery or recovery time involved. BOTOX® Cosmetic is safe (with some exceptions) and has been chosen by millions of patients and their doctors. Dr. Jejurikar will be happy to talk with you personally to address any of your questions or concerns. 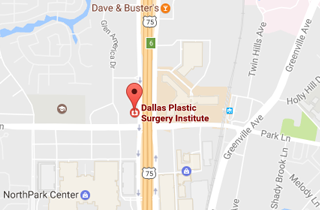 Call (214) 827-2814 to schedule a one-on-one consultation with Dr. J to discuss Botox at his Dallas office.